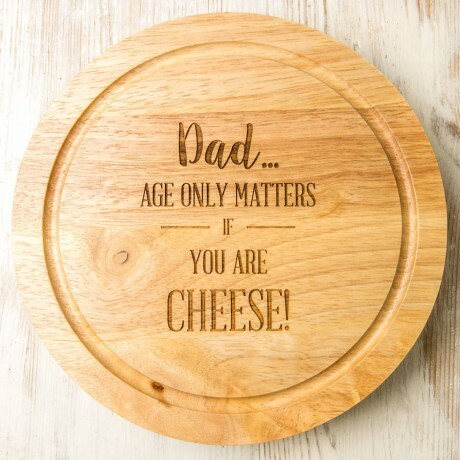 Personalised Birthday Round Cheeseboard with knife set. 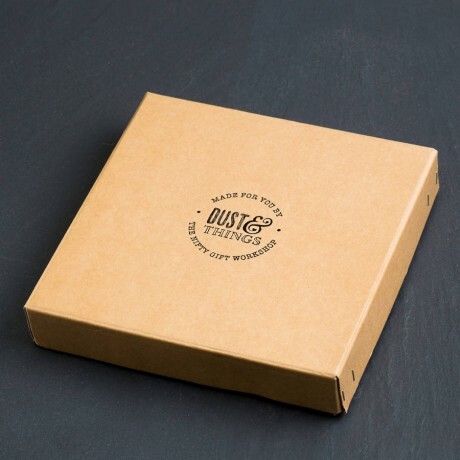 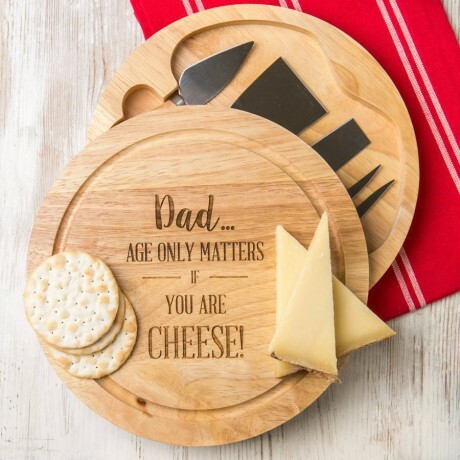 The birthday style cheese set is made from rubberwood, which is environmentally friendly. 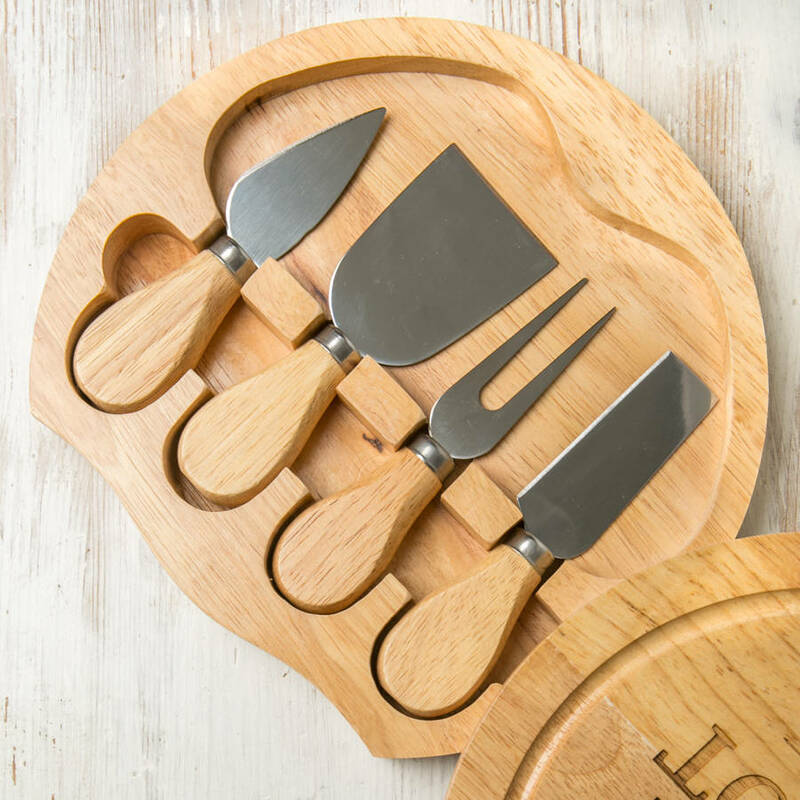 The wood makes the perfect surface for cutting cheese! The cutting surface has a groove around its centre, which helps to keep cheese in place. The cutting surface lid turns to open and revealing a storage compartment and three cheese cutlery. 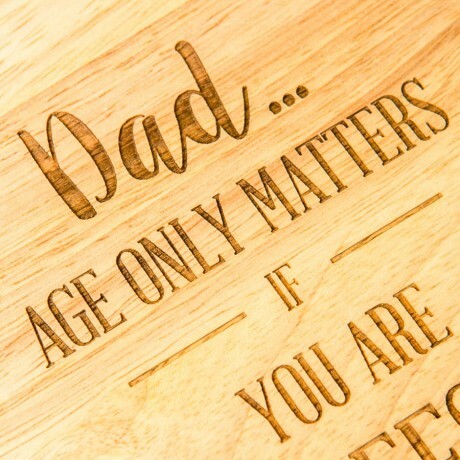 Our deeply engraved design is created as a cheeky gift for someone's birthday that doesn't want to get older. As a personal touch you can pick any name of your choice to be engraved on the board. 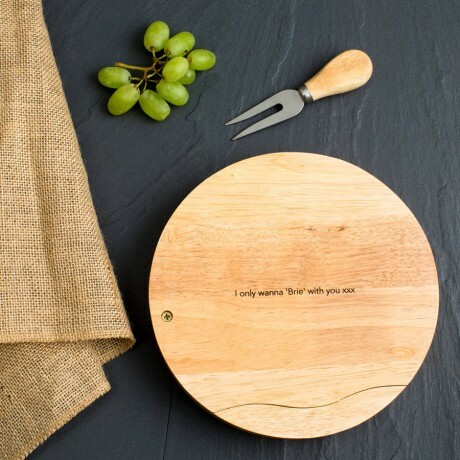 This board is 22cm diameter and 4.5cm depth.